Tintawi Kaigziabiher walks in her backyard with her youngest child. Tintawi Kaigziabiher's 8-year-old son gives her a stone in their backyard. Tintawi Kaigziabiher’s 6-year-old daughter and 2-year-old boy are playing in their living room on a recent Saturday afternoon. Their family is big on living a healthy, holistic life. That’s part of the reason why Kaigziabiher had three of her kids at home instead of at a hospital, but it’s not the only reason. "There’s always the condescending way people talk to you in these facilities, like you’re uneducated, like you don’t know the parts of your body," she said. Since she moved her family to Santa Fe six years ago, she’s had three miscarriages that she blames on racism she’s experienced here. "You go to a hospital for a checkup and somebody looks at you like you’re filthy if you have a vaginal exam," she said. While she was pregnant, Kaigziabiher said she was racially profiled while shopping and her kids were getting death threats from other kids at school. The more stressful the pregnancy, the higher the risk for something to go wrong. Babies born in New Mexico to African-American mothers die at a rate three times higher than White newborns. These numbers are mirrored in national statistics. Sunshine Muse works with the state Office of African American Affairs helping women get health care and information. "The stress from racism is causing these outcomes," she said. Research has shown that medical professionals have implicit bias against certain races, and Muse said hospital staff often lack empathy for Black women. That can cause distrust and keep patients from speaking up if something’s wrong. "Medical providers don’t get a lot of training on cultural competency," she said. "I don’t know many medical programs or schools where it’s a prerequisite for their other courses." Cultural competency training teaches medical professionals to be aware of how institutional stereotypes about race can get in the way of good health care. Like when doctors believe - wrongly - that Black patients, even babies, have a higher pain tolerance. The state created a pilot program to help Black women. KUNM scheduled an interview with the head of the state’s Office of African American Affairs, but the interview was canceled. We made five requests over nearly a month to Governor Susana Martinez’s office to reschedule. They never responded. Muse said there’s still a long way to go. "I don’t want anyone to think that we’re anywhere near resolving the problem," she said. "We’re really just beginning to have the conversation." In the U.S., the maternal death rate for African-Americans is three times higher than that of Whites. That number has barely improved in almost 80 years. New Mexico doesn’t publish those numbers by race, but our overall maternal death rate is higher than a lot of the rest of the country. "We should not be losing people the way we are in this country," said Nandi Hill, an African-American midwife in Albuquerque. 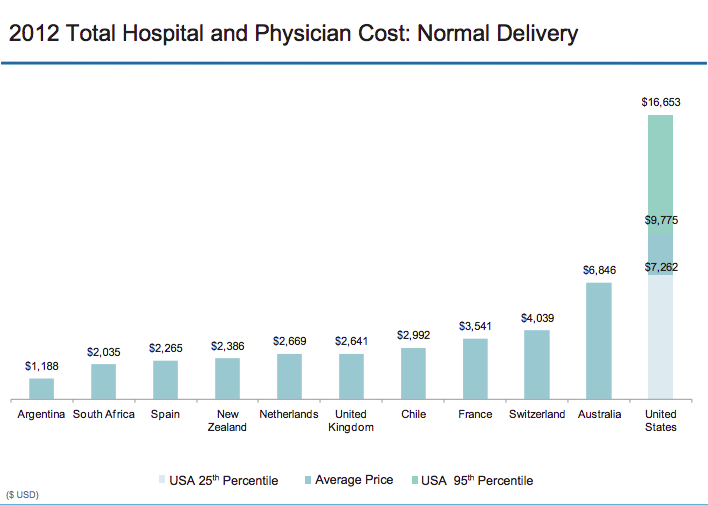 "We spend the most on labor and delivery than any other country." The average cost to the patient for a vaginal birth in a U.S. hospital is more than $9,000 dollars - the highest in the world. 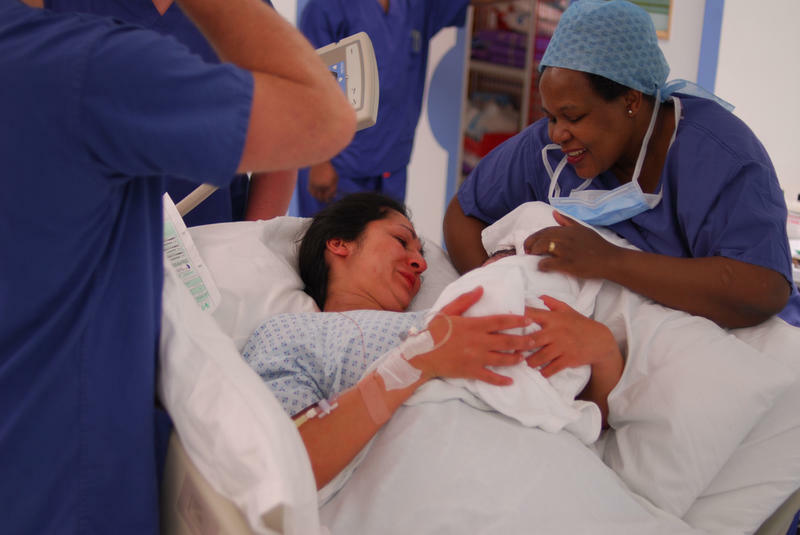 C-sections cost even more, and African-American women have them more often. Hill said that’s contributing to the country’s massive disparities in maternal deaths. "You’re sent home 24, 48 hours, maybe three days after a C-Section and then you don’t see anyone for days, weeks," she said. Tintawi Kaigziabiher and her two youngest kids play in their yard. Tintawi Kaigziabiher said after moving three kids, having two more babies here, and losing three pregnancies, she might not need a midwife’s help again any time soon. "I feel comfortable with the size our family is right now. The future - we’ll see what happens," she said. "But I feel full. My body feels pretty full. I have the same amount of children on this side, just about as on the other side. They’re still with me, too. So I feel full." Kaigziabiher hopes to become a midwife in the next few years, so she can help other moms in New Mexico and give Black women more options. Correction: This story has been edited to say that babies born in New Mexico to African-American mothers die at a rate three times higher than White newborns, not three times higher than newborns of any race. KUNM’s Public Health New Mexico project is funded by the W.K. Kellogg Foundation, the McCune Charitable Foundation and the Con Alma Health Foundation. Babies who are born underweight are at higher risk of developing health problems or even dying. New state data show the rate of babies born with low birth weights to African American moms here hasn’t improved in almost two decades. Let's Talk New Mexico 5/3 8a: Having a baby is a dangerous prospect for many women in New Mexico. Many hospitals aren’t prepared to deal with life-threatening complications related to pregnancy and childbirth, and not all women have access to quality prenatal care. Women of color are especially at risk. How can we ensure that all new and expectant mothers in our state get the care they need? One of the only remaining providers of pregnancy care in Las Vegas is struggling with the lack of an ob-gyn unit at the hospital there.